El Paso is a hot city. But did you know it can be even worse if you have varicose veins? Not only can wearing shorts, dresses, and bathing suits be uncomfortable, but the heat can actually aggravate your symptoms. Here are a few things you should know about varicose veins treatment and how you can survive El Paso’s hot summers. This is important to do regardless if you have varicose veins or not but it can also help reduce the visibility of spider veins a bit. Staying hydrated keeps your blood circulating and your skin cool and clear. This can help reduce the appearance a bit and your chances of having more spider veins form. The sun can aggravate the symptoms of your varicose and spider veins. 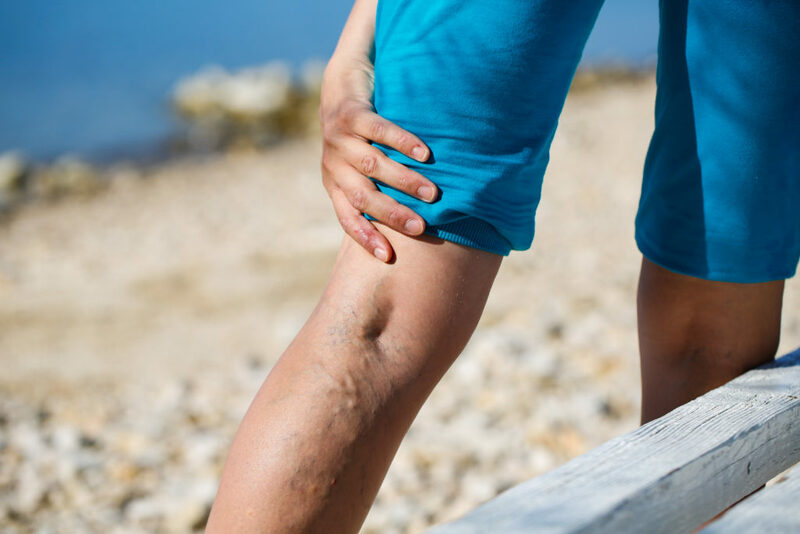 On top of that, areas of your body that have thinner skin are more prone to develop spider veins when exposed to the sun for long periods of time. Be sure to wear plenty of sunscreen that has a high SPF and to reapply it throughout the day, especially if you know you’re going to be in the sun for long periods at a time. One of the primary causes of varicose veins is poor circulation in your legs. Exercising regularly, especially in the summer when the heat causes you to have poorer circulation than usual, can improve your blood flow, reduce the pain and irritation associated with varicose and spider veins, and reduce your chances of having new varicose veins develop. While these methods can help reduce symptoms, your best bet is to receive professional varicose veins treatment from a qualified doctor. Depending on your symptoms, vein condition, and lifestyle, there are multiple treatments for you to choose from so all of your needs are met. Varicose veins treatment is effective at removing varicose and spider veins and preventing new ones from forming. Most importantly, we treat the cure of varicose veins and spider veins, venous reflux. Call El Paso Varicose Veins Laser Clinic Today! Don’t let your veins get in the way of enjoying summer. Call us today to learn more about the treatments we offer!